Car Key Assist provide unbeatable car cutting and car replacement services for Mitsubishi vehicles. 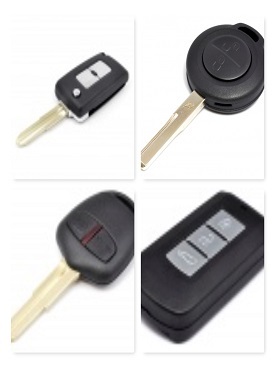 Lost Your Mitsubishi Car Key and Need A Replacement or Spare? If you have lost your key and need a replacement Mitsubishi car key cutting and car key remote programming, Car Key Assist are the best choice in Birmingham and the West Midlands. We supply, cut and programme for various Mitsubishi vehicles, including Asx, Colt, Grandis, L200, Mirage, Outlander, Outlander Phev, Pajero and Shogun. We are able to open locked Mitsubishi doors, erase Mitsubishi keys from an immobilize and remove broken keys from locks and ignitions. Our highly trained staff are available when you need them, with 24/7 call out with fast response times. All of our staff are qualified to the highest standard and can help with any issues you may have. If you need vehicle locksmith service in the Midlands, Shropshire, Staffordshire, Herefordshire, Worcestershire or Warwickshire, then chose Car Key Assist for the best automotive locksmith service possible.